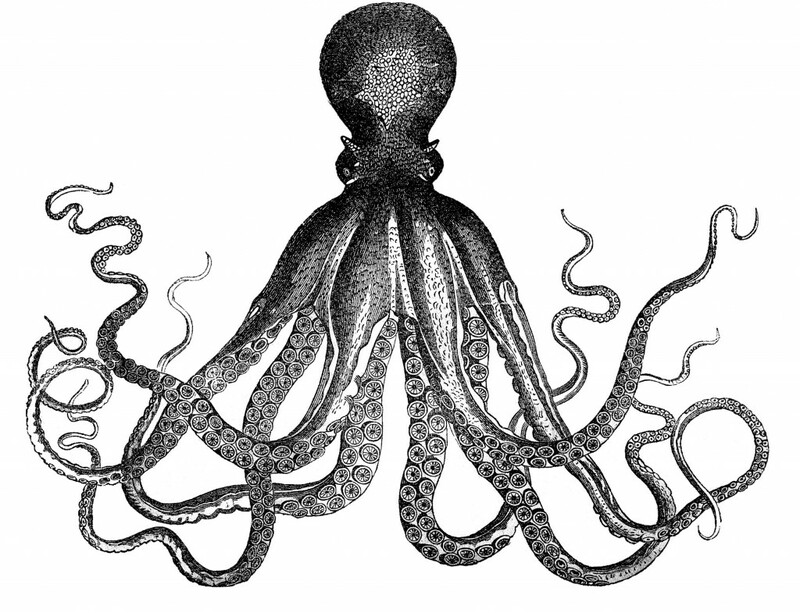 *Update: I’ve added this second version of the same Vintage Octopus Image, the dimensions are smaller, but the resolution is higher. Just wanted to give you another option for your projects! This looks like an Octopus to me but according to the Early Antique Natural History book that this image was scanned from, it’s actually a Common Cuttle-fish. The book has no date in it, but my research suggests that it was published around 1840-1845 in London. Anyway, whatever species he may be… he has lots of awesome looking curly legs, and is such a fun graphic to play with! You might like another Vintage Cuttle-fish image from the same book HERE. 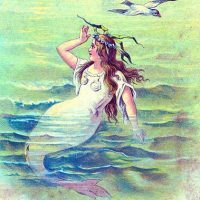 Wonderful to use in your Nautical or Coastal themed DIY Home Decor projects, Crafts or Graphic Designs. Gorgeous image, Karen..if you ever had a parakeet, and bought a cuttle-bone for it, this is the cartilaginous “backbone” of a squid ..so image is of course incorrect, as you know.. This ran on the comics section of the Houston Chronicle, July 31, 2011; the “Mutts” strip, by Patrick McDonnell ran it, without any attribution I might add. Just thought you’d like to know. Oh wow! this image is FAB! My teen daughter is steampunk crazy and wants an ocotpus for her room. I think this image will delight her. I will attempt to make a wall image or perhaps a cushion. Will link back when I work it out. Hi Karen, I’m hoping that you’ll be able to respond to the question. first, thank you for having all of these graphics. Wishing you had some great surfing ones. Anyways, I would love to transfer this one to a cabinet. Have any ideas? Thanks so much for this! I just used this to make a sea creature dresser. Oh, how fun!! I would love to see pics, will you be posting it on your blog?! I made an awesome triptych using this image, thanks so much for sharing! Hi Karen, can I use this picture on my website? Might have a go at one for our design studios in Cardiff, give our graphic designers something to talk about! Hi! This is a beautiful image, thanks for sharing. I found it mentioned on a blog where the blogger was able to print the graphic almost four feet tall. I can’t seem to save it at such a high resolution (no more than 8×10 inches). Is there a trick I’m just missing? I’m just enlarging the image and saving it to my computer. Absolutely in love with this picture. I would like to print it exactly like the original one. Navy blue and white. Do you know ow I could change the colouring???? Please help!!!! Hi! Is there any way you could email me a high resolution PDF of this octopus image? I am trying to change in photo shop and the DPI is too low for what i want to do! Hi! 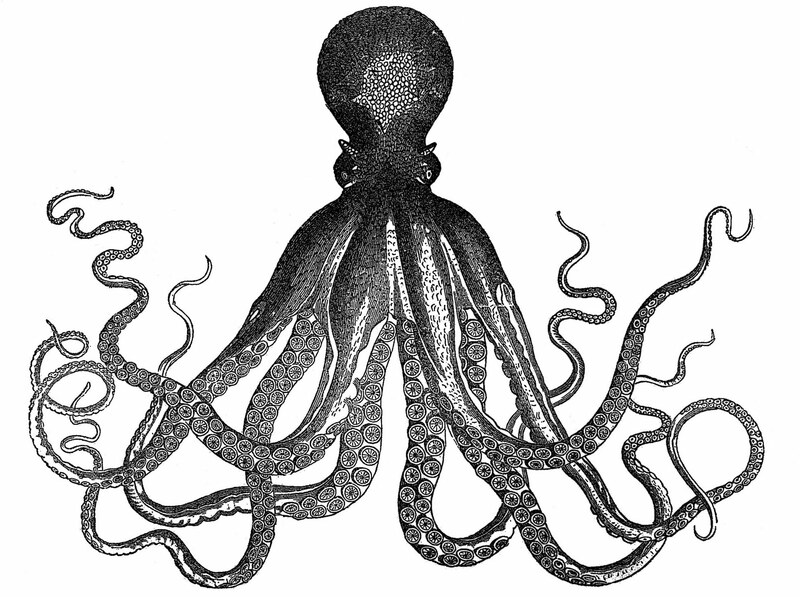 I’d like a high resolution of this octopus for a large scale print I’d like to do. Is there any way to email one to me? Thanks! If you don’t mind sharing, what is the name of the Early Natural History book? I would love to try and find one! Is it allowed to use the image for posters, commercial use? Hi Bruno, You can read my terms, by clicking on the “Terms” button at the top of my blog. Thanks! image of octopus to create posters that I would sell on etsy. I hope that you understand how hard it is to make a good translation of the English language without understanding a word of that language. I would not like to misunderstood something. Please can you answer with yes or no. I sincerely apologize if I caused any inconvenience and thank you so much! In this sentence, saying it may be used for commercial projects, but I read in the comments that this is not allowed. I’m very confused. Hi Bruno, yes it’s fine. Wow, that is so cool, thanks for letting me know! !